Despite the wet and muddy conditions and the fact it was Mothers Day, this week we had Sudbury Joggers running at multiple events. Three of the events were in Haverhill where we had eight Joggers running three races. 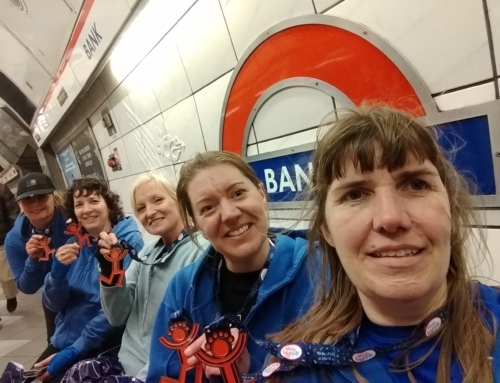 We had five members running at Fritton Lake and another three running in Cambridge. Haver Wet and Muddy Run! Getting all muddy and wet in the Haver10K we had Sarah Jeggo come in first at 59 minutes 51 seconds, shortly followed by Steve Jeggo at 59:55, with Ellie Cater-Wright crossing the finish line in 1:12:29. 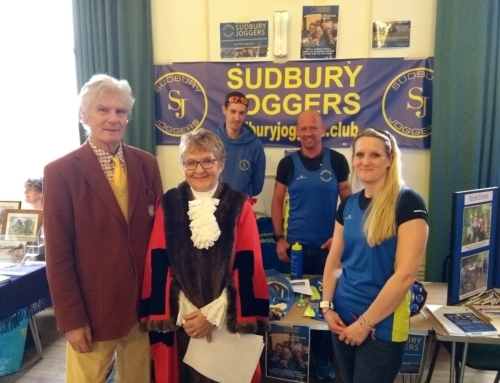 Amongst the Sudbury Joggers in Haverhill we had Lisa Dalton finish the HaverHalf marathon in 2:33:48, followed soon after by Sandy Maloy in 2:35:10 with Sudbury Joggers newcomer Tilly in at 2:35:53. 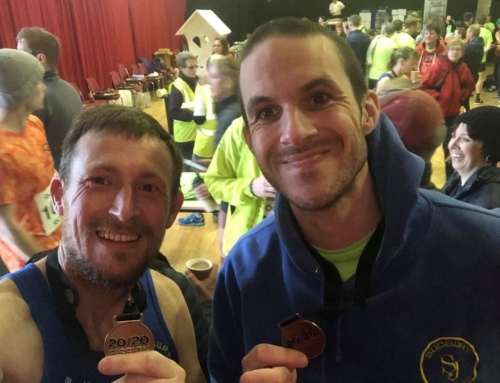 We had two members run a Haverhill’s full marathon, the HavaMara. Kallum Breward finished in 3:32:30 and Dee St Ledger returned home in 3:58:27. Sudbury Joggers were not just in Haverhill; we had Andy Buck, Wayne Mumford, Cliff Manning, Kieran Hayles and Ruth Cowlin running in the Suffolk Winter League Cross Country over at Fritton Lake. The official times for this Fritton Cross Country have not be published just yet, so there are no times to add. Further north another three club members ran the Cambridge Boundary Run marathon. Crossing the finish line first was Jim Comber at a time of 3:15:04. Next we had Ian Bareham finish in 4:32:18 followed by Gin Lawson in 4:49:21. And that’s not all… we also had some of our club members giving up Mothers Day to take a traffic management course. This is to ensure that Sudbury Joggers can put on a safe Sudbury Fun Run on Good Friday, 30th March 2018 plus the Sudbury Friday 5 on Friday, 25th May 2018. We hope that we will see many of you at both these events. Lastly, on Saturday, March 10th, we also had 22 Sudbury Joggers run the Great Cornard parkrun with our very own Todd Lewis coming first at a time of 19:44. Just behind Todd was Charles Hann who crossed the finish line in 19 minutes and 50 seconds, earning himself a new personal best. 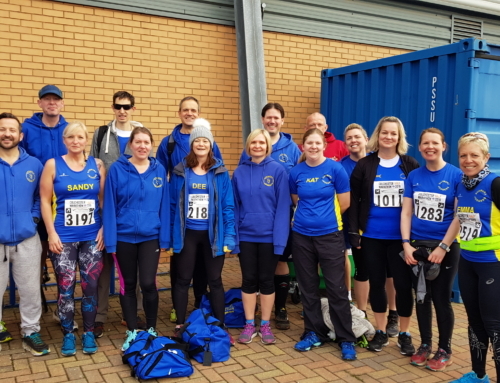 Well done to all the Sudbury Joggers that did a wonderful job running over the weekend.